Rob Batty’s research area is intellectual property law, and within that field his primary research interest is trade mark law. Rob Batty joined the Law Faculty in July 2017 as a senior lecturer and has been a legal academic since 2010. Rob's main research interest is trade mark law. His published research has focused on crucial and fundamental issues of trade mark law. In particular, his work has drawn attention to the role of “use”, which underlies nearly all trade mark legal doctrine, and the interface between the operation registration system and the protection of unregistered trade marks via the law of passing off. These issues have a significant impact on New Zealand’s trade mark system, and those of New Zealand’s major trading partners (particularly Australia). Rob’s published articles have been cited in leading texts on trade mark law in New Zealand and Australia, by the New Zealand Supreme Court, the Singapore Court of Appeal, the New Zealand High Court and the New Zealand Intellectual Property Office. Now he’s building on his previous work in trade mark law by undertaking a PhD. 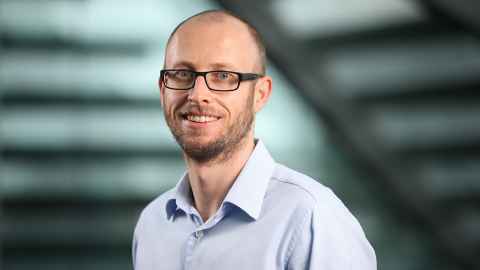 Rob’s PhD research examines the utility of concepts and principles from property law as a means to better understand the operation of registered trade mark law.